We want to hear from you. Should you need any further assistance please don’t hesitate to contact us. 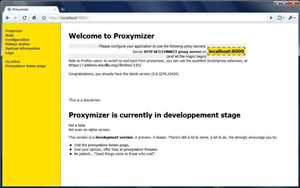 Send a message to contact@proxymizer.net and we’ll get back to you as soon as possible.